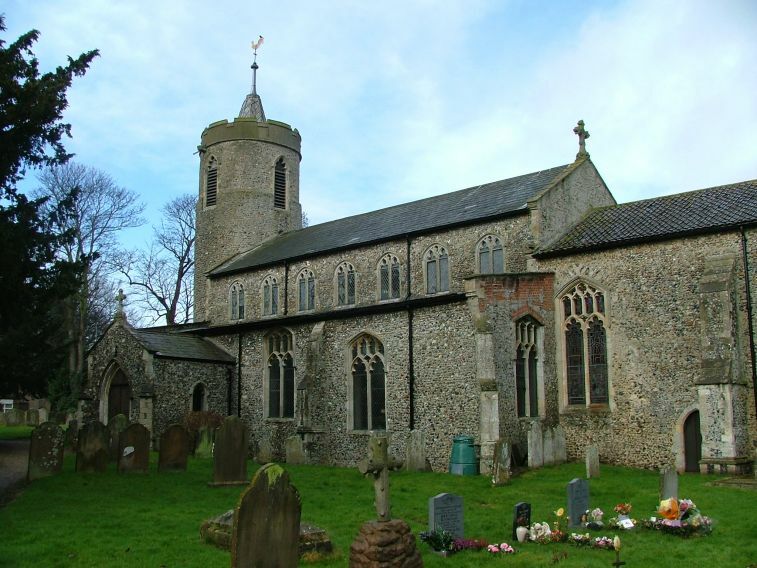 St Mary will be familiar to anyone who has endured the tiresome A140 from Ipswich to Norwich, which seems to have been designed specifically to push drivers beyond the edge of reason. 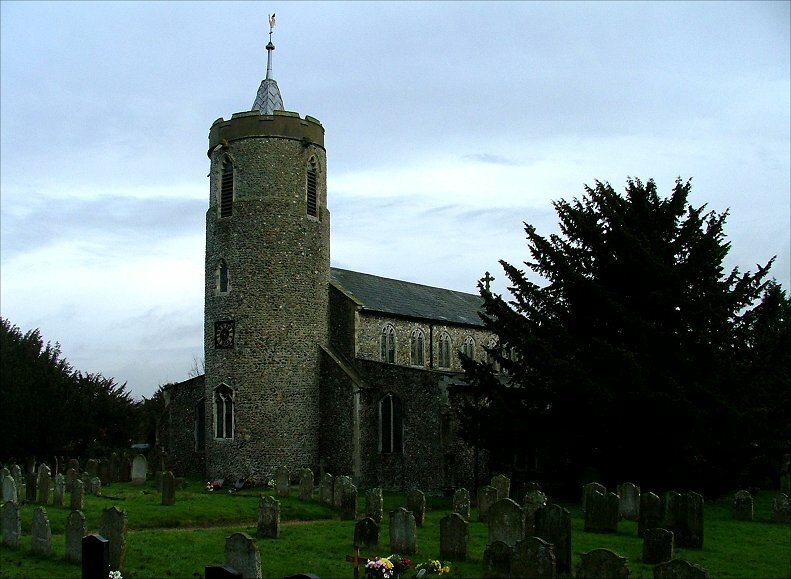 Long Stratton straddles this hellish road for a distance of a couple of miles, and it would be just another put-upon village if it had not been designated the central settlement and headquarters of the new South Norfolk District Council area in 1974. Since then, Long Stratton has grown beyond measure, becoming a small town with a shopping centre, a superstore, and all the usual facilities. It is actually a rather pretty place, if it wasn't for that blessed road, and St Mary is its focus. 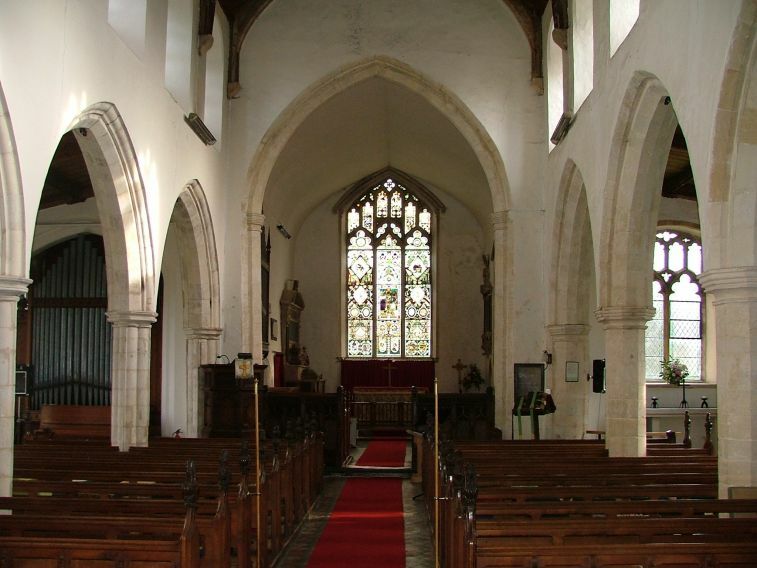 St Mary suits Long Stratton well, because like many Norfolk churches it was in a bit of a state by the early 19th century, and the Victorians turned its wide aisled and clerestoried nave into a crisp, clean, urban space which would be quite at home in the middle of a large town like Norwich or Ipswich. 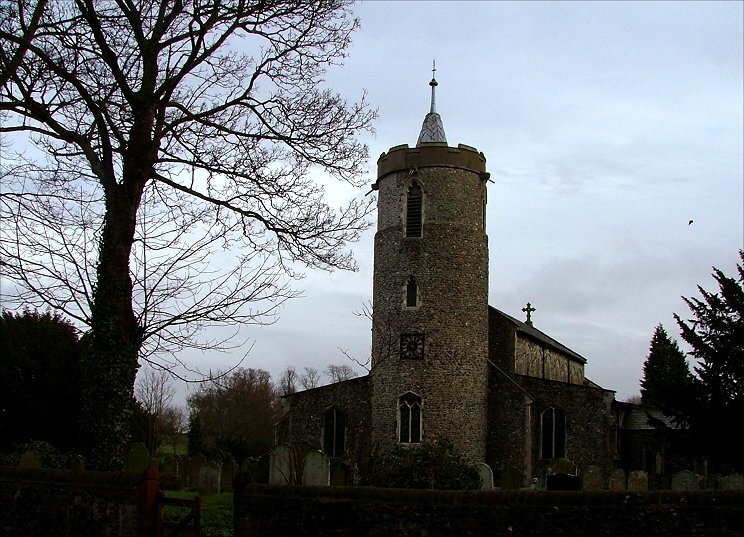 This is not to say that it is not a pleasant, well-kept building; and, of course, it has the adornment of that large round tower, which rears up above the road. 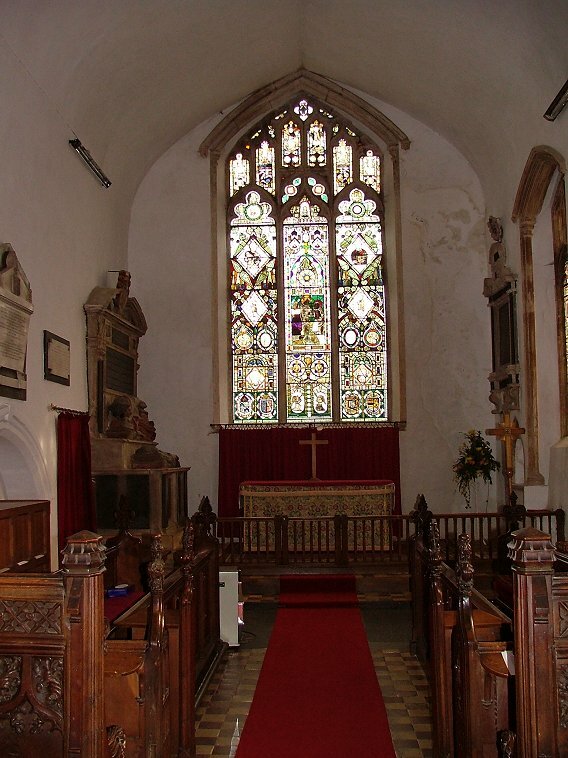 And, unusually for an town church of evangelical temper, it is accessible to visitors, for which the parish are to be commended. You get the key from the hairdressers across the road. "That'll be five pounds for half an hour!" quips the nice lady, to which, of course, you immediately reply "But it'll take me that long to get back across the road!". It doesn't, but it can feel as if it does. The traffic that was roaring along four lanes of a dual carriageway a couple of miles to the south is now here, being funnelled through the high street, and the drivers are not happy. They are certainly in no mood to let pedestrians cross. But eventually, you manage it, and enter the pleasantly lush graveyard. 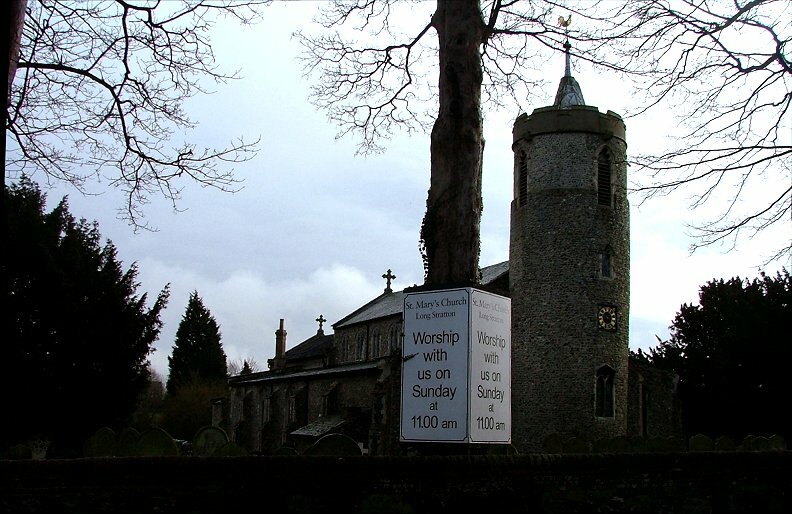 The tower is Norman, and this was an aisled church even before the Black Death. Long Stratton has always been a significant place. 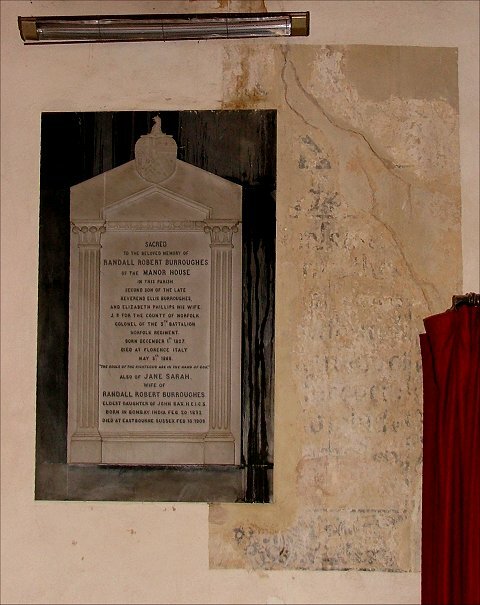 And, despite the attentions of the restorers, there are some intriguing survivals. 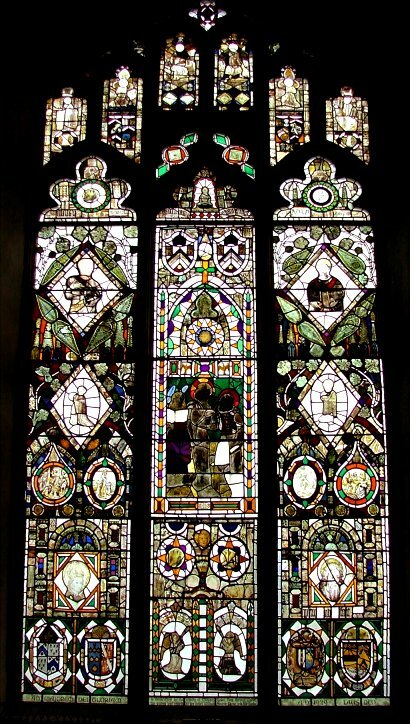 This is one of those churches that installed a job lot of medieval and continental glass bought from a Norwich merchant in the 19th century, and it fills the east window. The Flemish panels are in rather poor condition, but that in the centre appears to be the Baptism of Christ. 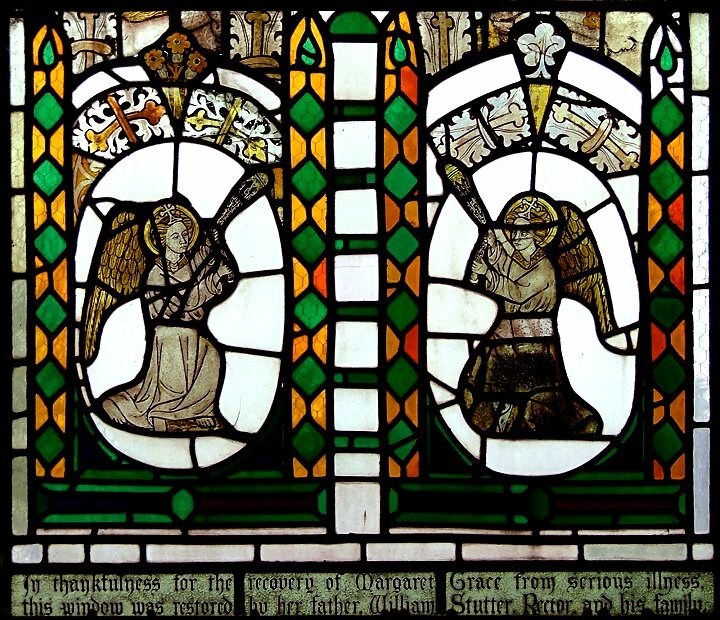 The English glass is probably more interesting. A figure with an added female head holds a sheep. 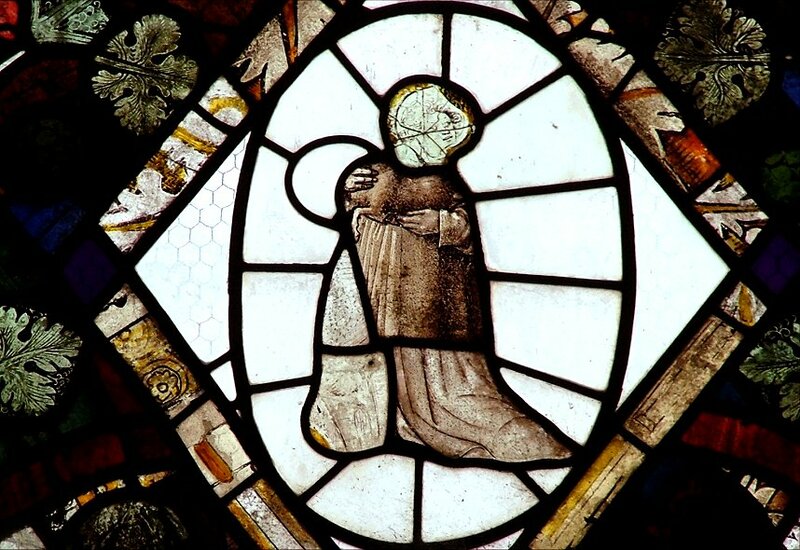 Is it St Agnes, or Christ the Good Shepherd, or someone else entirely? 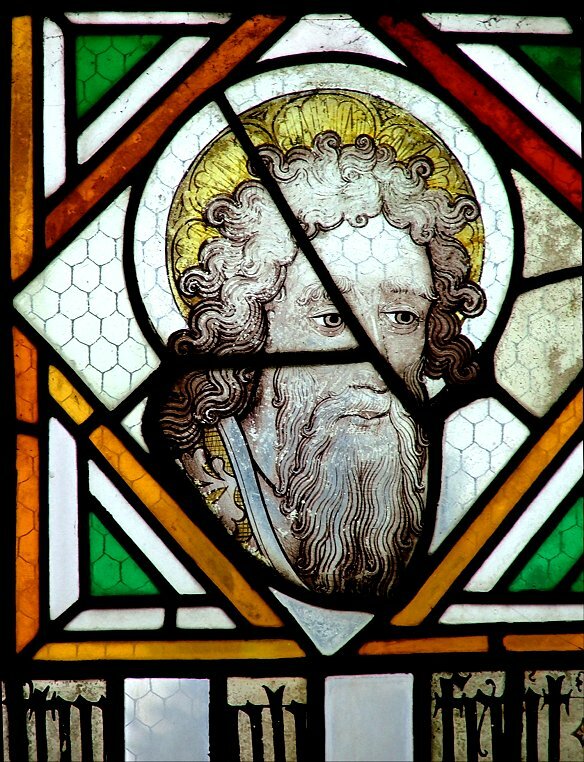 There is a fine bearded head, probably of an apostle. What wonderful curly hair he has! Perhaps the most important artistic survival here is the intricate font cover. 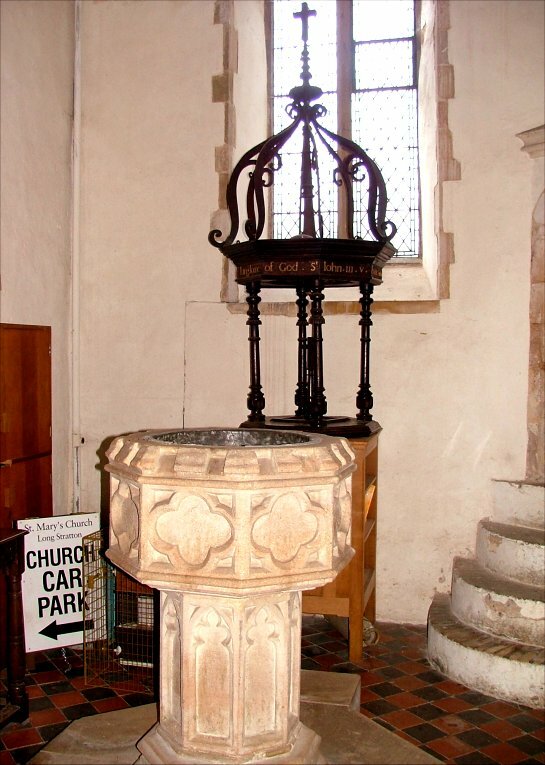 It dates from the early 17th century, and builds to a crown of curling openwork. 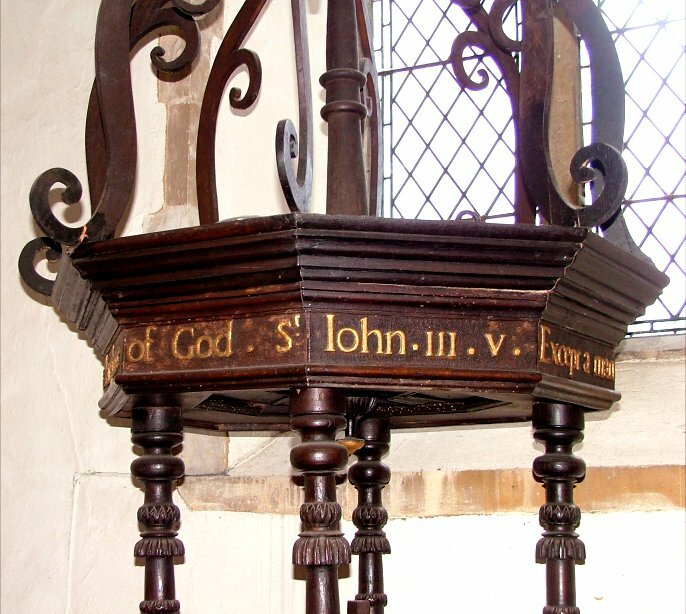 The legend, in gold around the base, is from St John's Gospel: Except a man be borne of Water and of the Spirit he cannot enter the Kingdom of God. 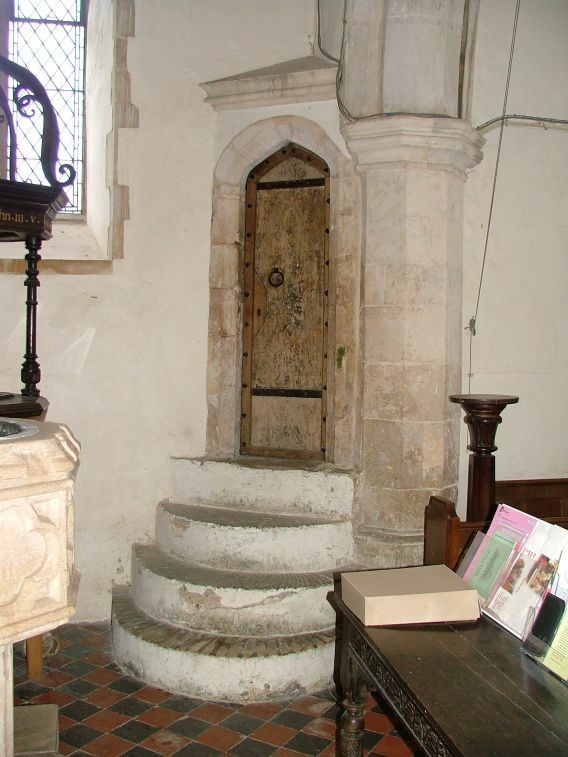 Behind the font, the doorway to the tower stairs is set at the top of a small flight of concentric stairs. 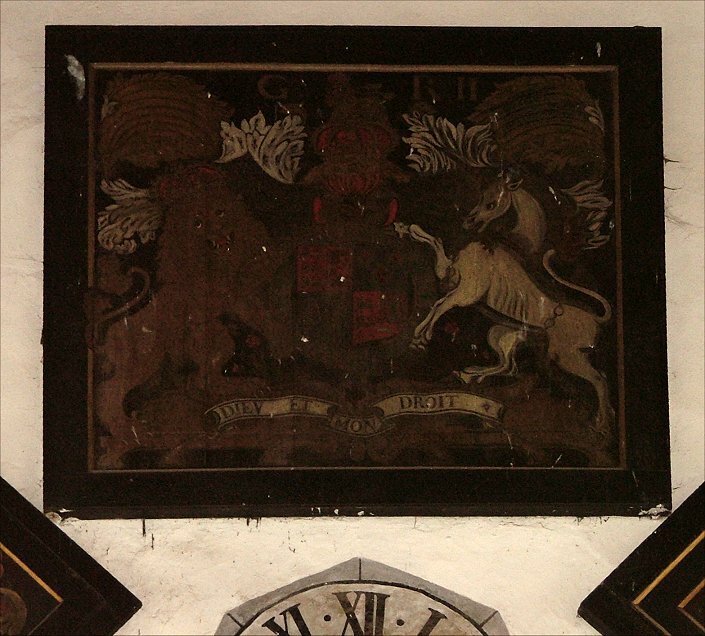 High on the west wall are two hatchments and the royal arms of George II. Curiously, there is also a clock. 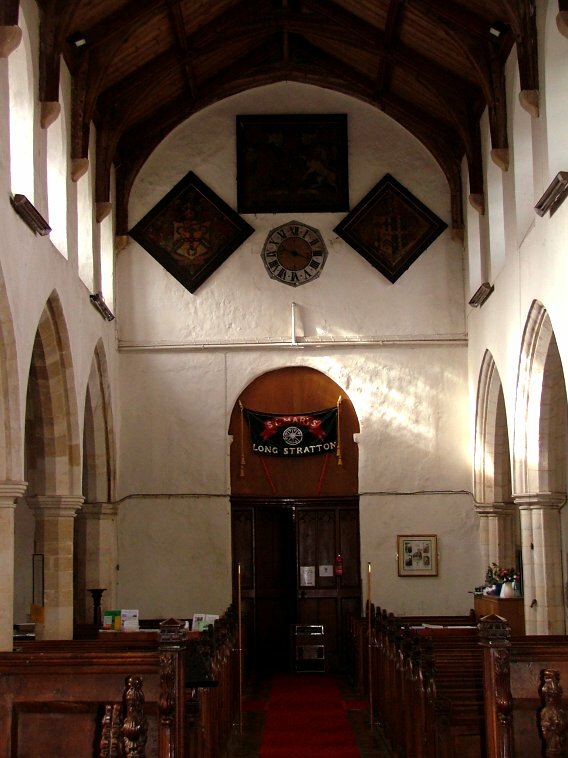 It is unusual to find a clock inside a church, at least in such a prominent position. There's another one at Brancaster, away to the north-west on the coast. 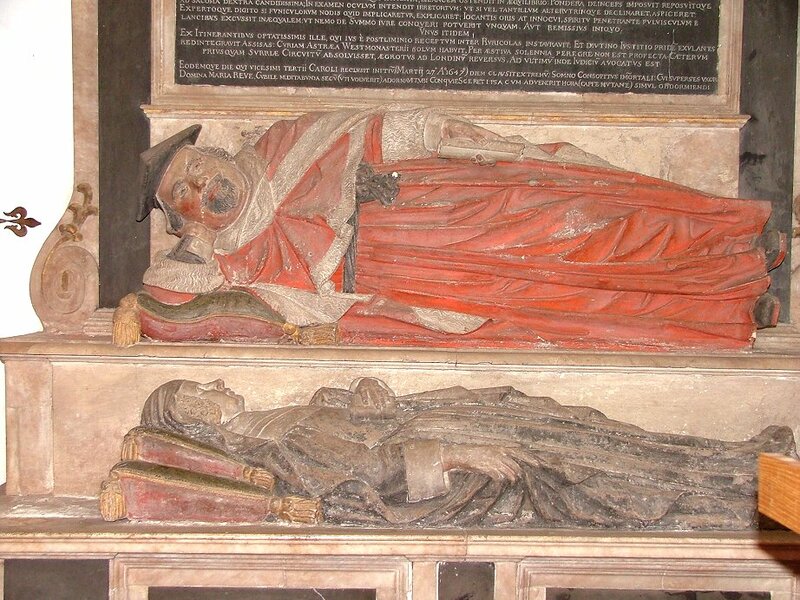 Supposedly, they were there for the benefit of the Preacher, although you can't help thinking he'd have got a bit fed up with people sneaking a glance back over the shoulder if he went on for too long. 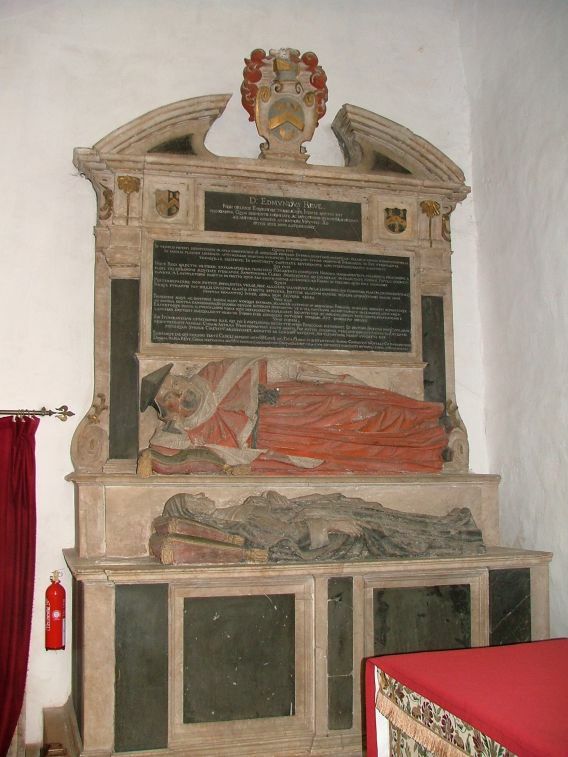 The massive monument in the chancel is to Sir Edmund and Lady Mary Reeve. Sir Edmund was an important parliamentarian politician during the English Civil War and Commonwealth. He didn't live to see the Restoration, and has the smug air of someone who knows that he died on the winning side. Long Stratton's most famous survival, and perhaps the very reason that you might have used Google to find this page, is the Sexton's wheel. 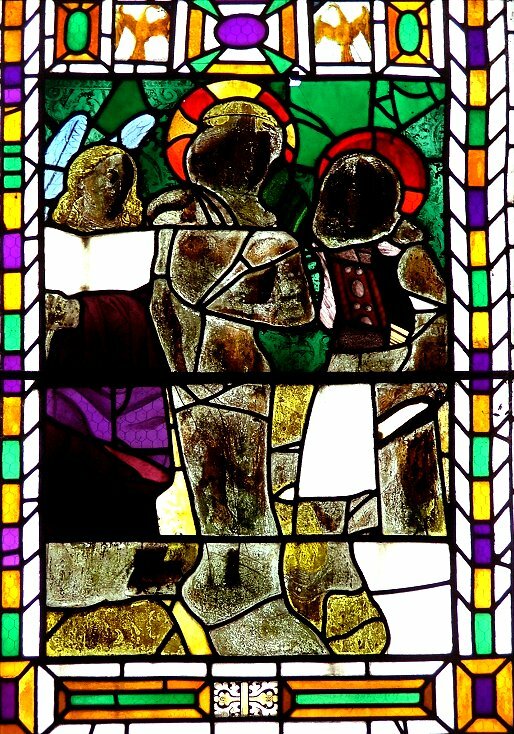 This is displayed in a glass case near the back of the church. 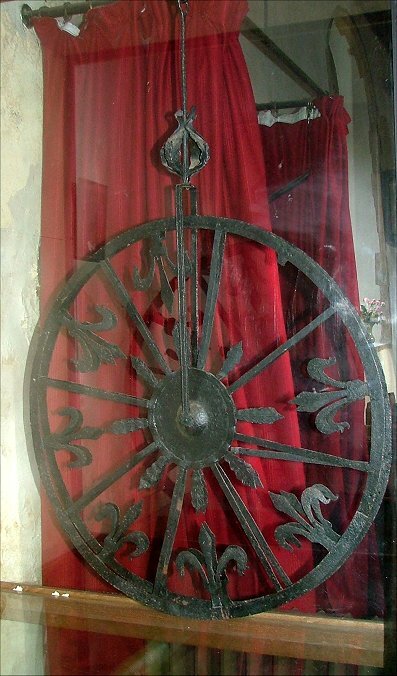 It is made of iron, and revolves on a spindle. Its exact function isn't entirely certain, but it seems to have been used to determine which day of the week a parishioner would start a fast. 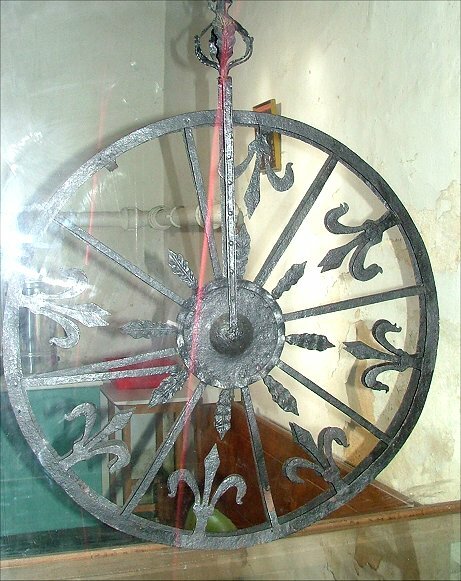 This was decided by which of the Marian Feast days, represented by strings hanging from the wheel, was selected by catching when the wheel was spun. Whichever day the Feast fells on that year, that was the day the fast began. Curiously, there are only two of these wheels in England, and the other is barely ten miles away at Yaxley, just over the Suffolk border.